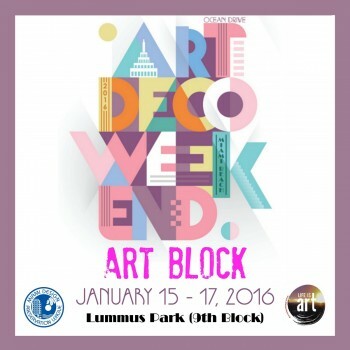 Art Deco Weekend returns to the shores of South Beach for the 59th edition on January 15th, 16th and 17th, 2016. Taking place along Ocean Drive in Miami Beach, it is a celebration of all things Miami, Art, Architecture, Entertainment, Food, Dance and Fun. Life Is Art has again partnered with Miami Design Preservation League to present work from our local artist community. Enjoy refreshing libations from Tito’s Vodka, Bud Light and others while relaxing in the lounge couches and enjoying live entertainment. Glenda Ramos, Paintings from the heart to brighten your room. Aquarela Sabol – Miami image maker of deeper symbolism. Eat Your Poem – An experience that touches the heart and ignites the soul! 4:00-4:10, Charlotte Curbow-Healey, 11 year old actress reading on a college level since 6 that loves life! 5:30-6:15, Tere Arce, Sing Original Songs accompanied by my Guitar! Founded in October 2012 by Ivette Cabrera and Francy Freixas, Viophilia is a studio collective compromised of an exhibition space, five artist studios and an in-house gallery. Created for artists by artists with a need for an environment conducive to creativity and productivity. Viophilia resident artists have gone on to perform on Jimmy Kimmel Live, screened in Miami Short Film Festival, blogged about on Miami New Times as well as The Miami Herald and exhibited in the Baker Museum in Naples Florida among others. Our goal is simple, we honor the rebel, the ground-breaker, the habitual-over-the-line-stepper and those who refuse to play by the rules. Viophilia is created as a creative sanctuary where artists who wish to escape the confines of society can flourish without giving in to the mediocre standards of life. Where we will go from here is unclear but the destination is always all the same. We invite you to join us on that creative journey into the unknown. Marie Whitman, Potent Poet and Founder of Eat Your Poem poetry Project, serves of poems to-go! Perched behind her manual-magical-vintage typewriter, Marie creates your poem and then recites it you – your very own personal poetry reading! Come and get your unique poem and receive a good word. An experience that touches the heart and ignites the soul! Paintings from the heart to brighten your room. Glenda was born in Brazil and has been in Miami since 1997. Her passion for painting started in 2013 and it came as a pleasant surprise. Indeed was a surprise when she posted a picture of one of her paintings on Facebook and the first comment was “I need that piece in my living room”, having her first sale being shipped to Hawaii a few days later. 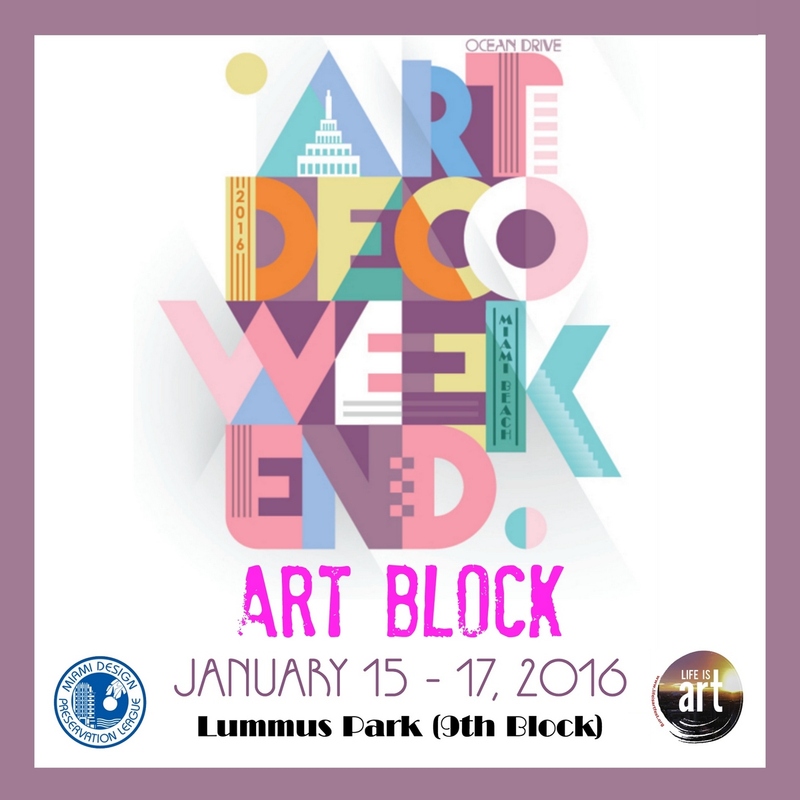 As an emerging artist she has participated in many festivals and galleries exhibitions throughout South Florida. Live painting has been a fun addition to some of the events. She has been praised for her bright colors, nature themes and light mood. Her nature and abstract paintings with vibrant colors and movement are sure to make you smile. Aquarela Sabol is a multi-disciplinary artist, street muralist and overall image maker based out of Miami. Although receiving some schooling in fine arts, she is primarily a self taught artist. Her preferred medium is oil paints, combined with non-traditional fine art mediums like spray paint and textiles. She focuses creating feminine characters that often have deeper symbolism and an implied or direct interaction with nature to explore the relationship of the human experience and its context within the world. I studied Graphic Design and graduated in 2013. I’ve found an ongoing admiration creating fine art. I chose graphic design as an opportunity to project my use of concepts and symbols. I’m also learning to apply my talents into a more technological medium: such as the web. My goal is to offer my talent and skills to help company’s build identity and communicate their ideas. In return make friends, gather ideas and have fun along the way! -UOM- was originated in early 2007 as a multi-disciplinary project with emphasis in non- traditional,Vintage and electronic instruments, and performance live. -UOM- plays based in the concept of improvisation! I am a publisher of IWA Publishing Services helping writers become published. Renda Writer is a man who believes in following his passions. Born in New York, and based in Miami, he draws influence from all of his life experiences and continues to soak up all that life has to offer every new day. Whether it’s with art, poetry, or business, Renda is always working on a new project and always acutely tuned in for manifesting the outcomes and results that he desires. With an intimate understanding of The Law of Attraction, Renda enjoys every new day of navigating through the universe as a creator and as a grateful being. He enjoys collaborating with other motivated individuals, both through art and poetry collaborations and through business partnerships. How to evoke a personal transformation through the mindful focus on color. Sing Original Songs accompanied by my Guitar! I’m well known for freestyling and delivering a piece for ANY occasion! I would perform a poem or spoken word piece in tribute to art and an artist (noone in particular). I would love to read a poem, perhaps on Peace or sing, or bring awareness to oceans, I haven’t decided, just love this idea! I am an 11 year old actress reading on a college level since 6 that loves life! This lecture introduces Birrabirro International Art Magazine. It speaks of the beginnings of the magazine, and its long term goals, accompanied by a slide show. A musical performance (along with a female singer) filled with theatrical skits based on my upcoming experimental album. Interactive painting where Miguel and I react to each others brush strokes to create a work that re-defines both of our styles.